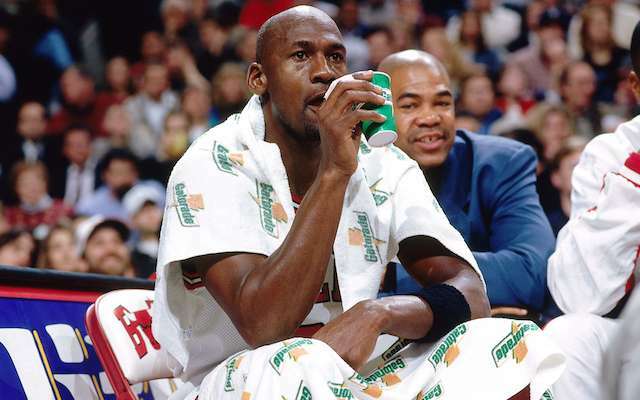 Gatorade is the drink of champions. Whether it’s used as fuel for a grueling race, game or match or dumped on the winning team’s coach after a championship game, it’s the iconic drink for athletes taking on bold challenges. 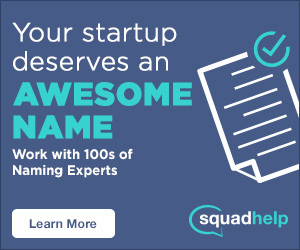 The brand has endorsed and currently endorses some of the greatest athletes in their sport, including Michael Jordan, Serena Williams, Patrick Kane, Cam Newton, JJ Watt, Usain Bolt and more. Here is their full list of athletes and brand ambassadors. In 1965, Samuel Ray Graves, an assistant coach for the University of Florida’s football team, was puzzled by the significant amounts of weight his players were losing during training sessions and games. Water just wasn’t cutting it; players were suffering from heat related illnesses and losing stamina. So he met with a team of university physicians and scientists to uncover why his players were unable to retain water in the high temperatures and humidity that plagued southern summers. Kidney specialist, Dr. Robert Cade and his team of researchers, discovered that players were loosing carbohydrates, salt and electrolytes as they perspired, and were unable to replace these fluids quickly enough to achieve a full recovery. According to the Associated Press, players were losing as much as 18 pounds during a three-hour football game and 95% of this was water weight. They needed a solution. The first iteration of the beverage was a mixture of sodium, sugar, potassium and phosphate, but it was really hard to keep down. Upon the suggestion of his wife to make the drink more drinkable, Cade added lemon juice to the mix of ingredients. The University of Florida’s football team began drinking the beverage in the summer of the 1965 season and not only did players keep weight on, but fewer were struggling with heat exhaustion. However, secrets can only be held for so long. In the 1967 Orange Bowl, the Gators defeated the Georgia Tech Yellow Jackets, 27-12. According to The Legend of Gatorde, Georgia Tech’s head coach Bobby Dodd told reporters in a post game interview, “We didn’t have Gatorade; that made the difference.” The secret was out. And according to dictionary.com, ade is “a noun suffix indicating a drink made of a particular fruit, normally a citrus: lemonade and it also denotes action. The athletic drink came to be commercially produced after one of its developers at University of Florida moved to Indiana in 1967, where he met a vice-president for Stokely-Van Camp, a national company which produces canned and frozen fruits and vegetables. 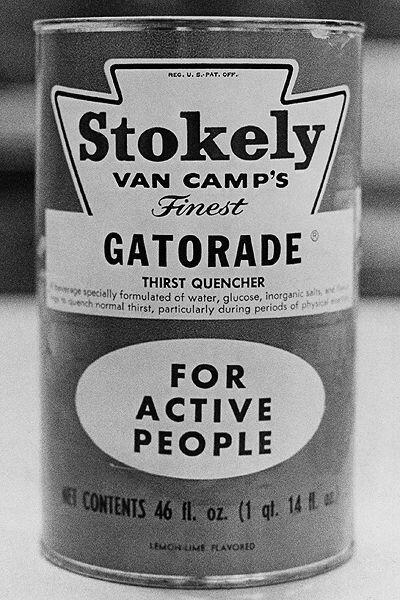 Stokely-Van Camp secured the rights to Gatorade from the University of Florida and its researchers, and began marketing the drink nationwide. In 1983, Quaker Oats bought out Stokely-Van Camp, and Gatorade became a member of the Pepsico family when Quaker Oats merged with the beverage giant in 2001. In 1969, Gatorade made its NFL debut when Florida Gators coach, Ray Graves, suggested to the Kansas City Chiefs that they use Gatorade to beat the Missouri heat during training camp. The Chiefs continued to stock their sidelines with Gatorade throughout the season, and they just happened to win Super Bowl IV, defeating the Minnesota Vikings. In 1983, Gatorade became the official sports drink of the NFL. Three years later, the iconic “Gatorade Dunk,” now known as “the Gatorade Shower,” was born when the players of New York Giants showered Bill Parcells. It has become a tradition across all levels of football.